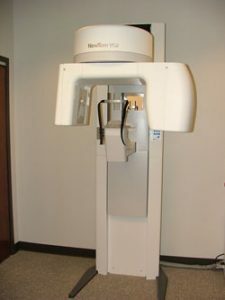 Cone Beam CT has some similarities with conventional X-rays, and also with the standard CT scans, you would get in a hospital setting. But it's a quantum leap forward in technology and diagnostic precision. 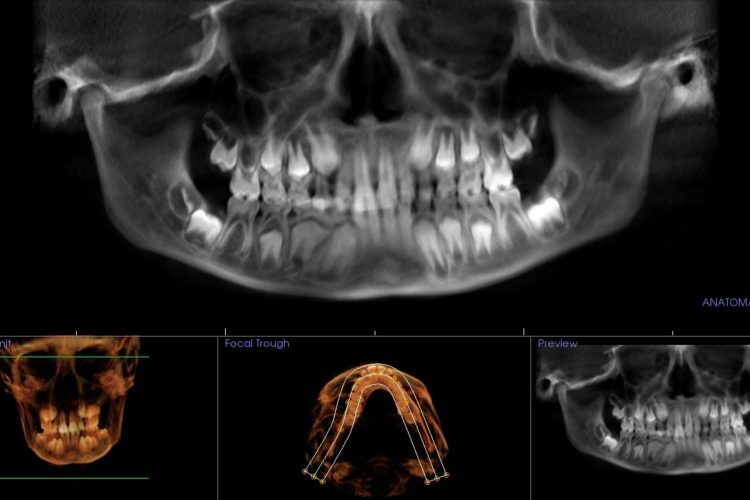 For the dentist, it offers the ability to visualize intricate structures inside the mouth, such as root canals, nerves and sinuses (air-filled spaces) in the jaw — in three dimensions — without surgery. For the patient, it can reduce the need for invasive procedures, shorten treatment time and offer the chance for a better outcome. The CBCT allowed us to see that this tooth was fractured. 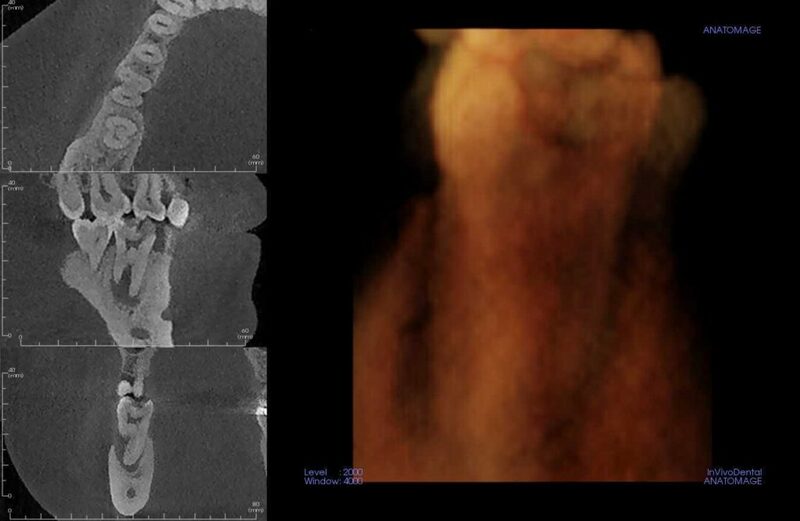 We were able to better assess this patient's abscess using CBCT. 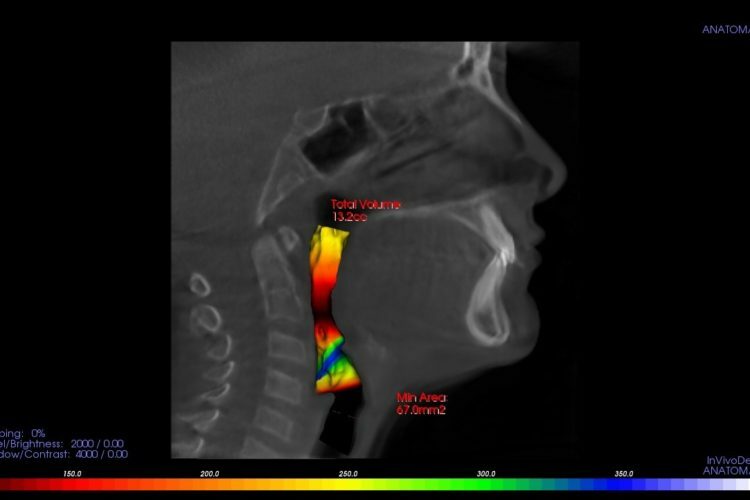 CBCT can be used to evaluate the airway. 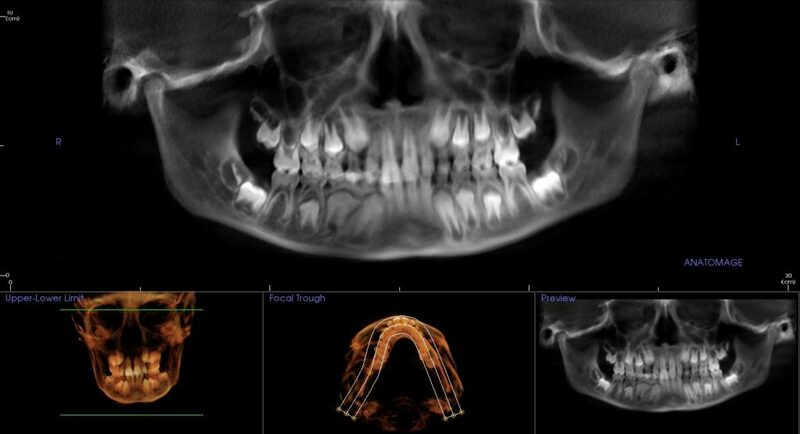 The x-ray taken using the CBCT gives both a panoramic view as well as a 3D image. 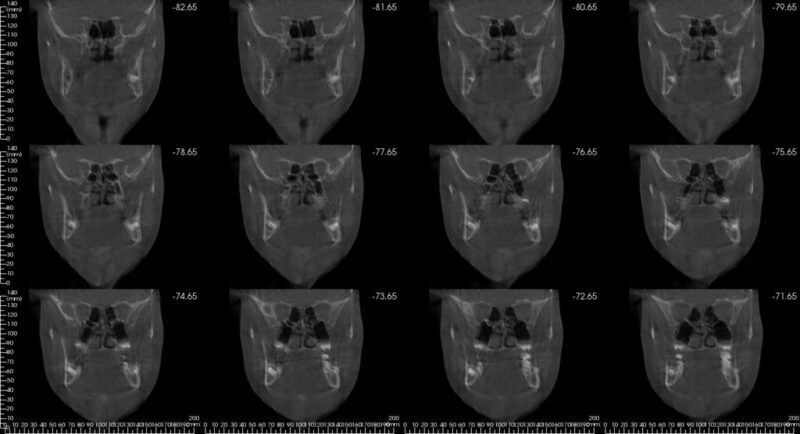 CBCT allows us to evaluate the nasal cavity. 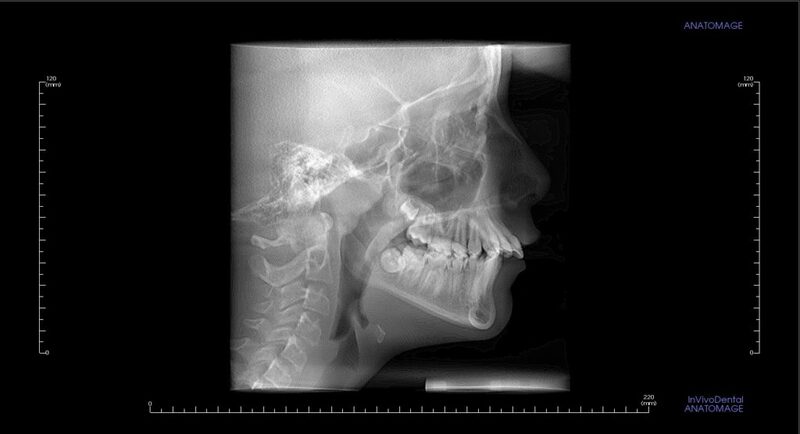 The cephalometric image is used to evaluate the patient's jaw and surrounding bone for orthodontic treatment. X-rays, like visible light, are a form of energy on the electromagnetic spectrum. 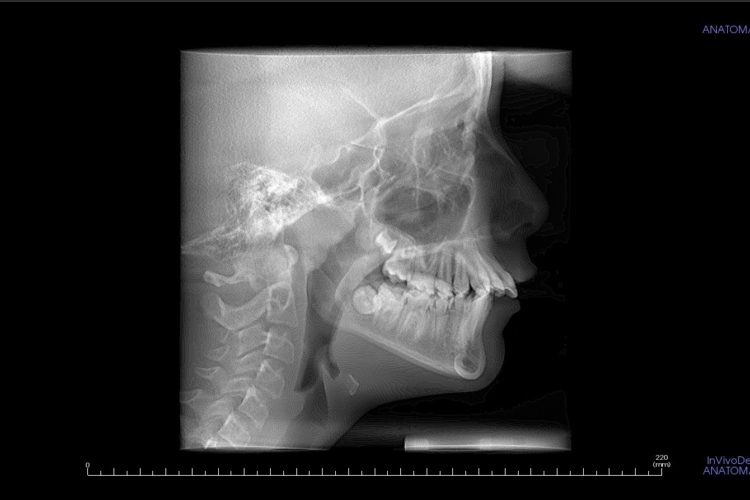 Just as light makes an image on photographic film (or a digital camera sensor), X-rays can also form an image. The difference is that energetic X-rays can penetrate bone and soft tissue, and reveal its hidden structure by their varying degrees of absorption; in other words, they form a grayscale picture of what's underneath the surface. But conventional X-rays are limited: Like a still-life picture, they show only one perspective on the scene. Now imagine a “flip book” — the kind of small book made up of a series of pictures, each slightly different. When you rapidly page through it, you may see (for example) an animated cartoon or a still subject from different perspectives. If you could put together a flip book made from a series of X-ray “slices” of the same subject, taken at slightly different angles, you would be able to create an “animation” of the X-rays. And from there, it's only one more step to making a 3-D model. 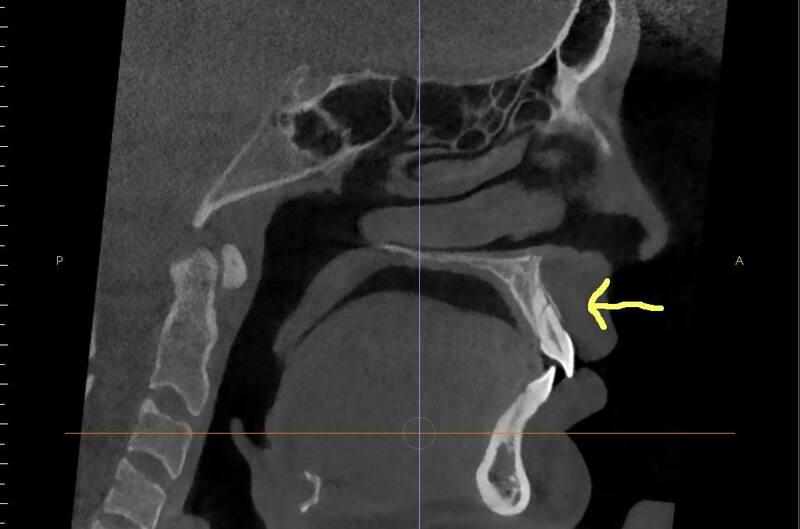 That's exactly what CBCT scanners do. Using a rotating imaging device that moves around the patient's head, the scanner records between 150 and 600 different X-ray views in under a minute. Then, a powerful computer processes the information and creates a virtual model of the area under study. When it's done, the model appears like a three-dimensional image on a computer screen: It can be rotated from side to side or up and down, examined in greater or less detail, and manipulated in any number of ways — all without the patient feeling any discomfort... or even being present. 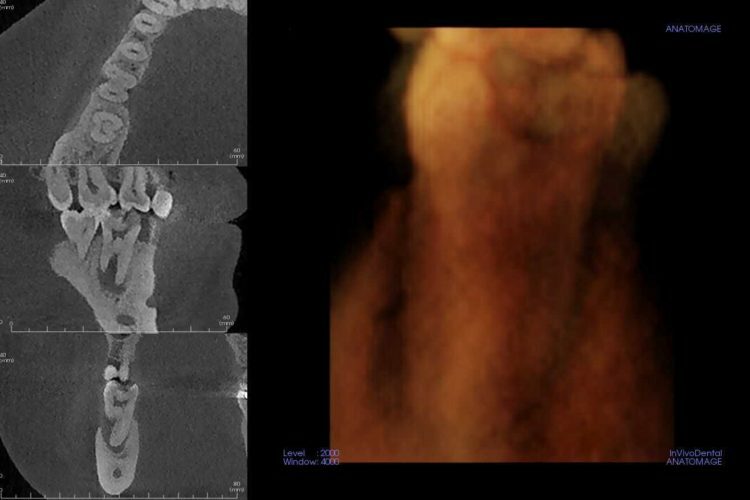 Dental implants: Detailed CBCT images are used to determine the optimum location for the titanium implants while avoiding nerves, sinuses, and areas of low bone density. 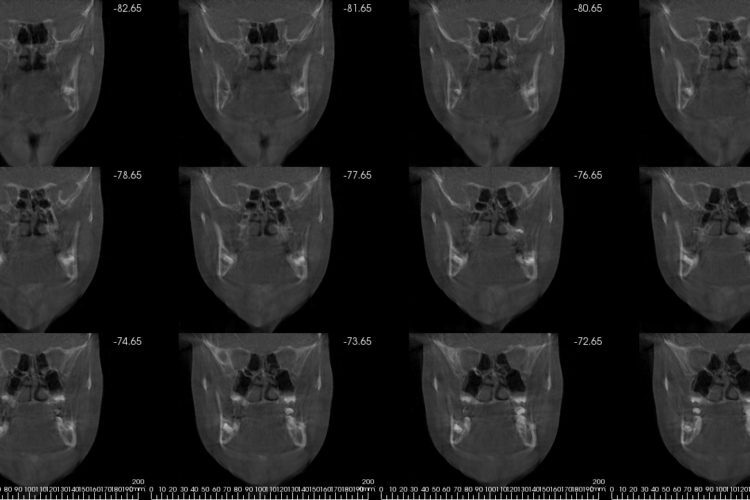 Orthognathic Jaw Surgery and Temporomandibular Joint (TMJ) Disease: Patients benefit when the specialists who treat these conditions can evaluate their anatomy with the three-dimensional perspective that cone-beam CT provides. 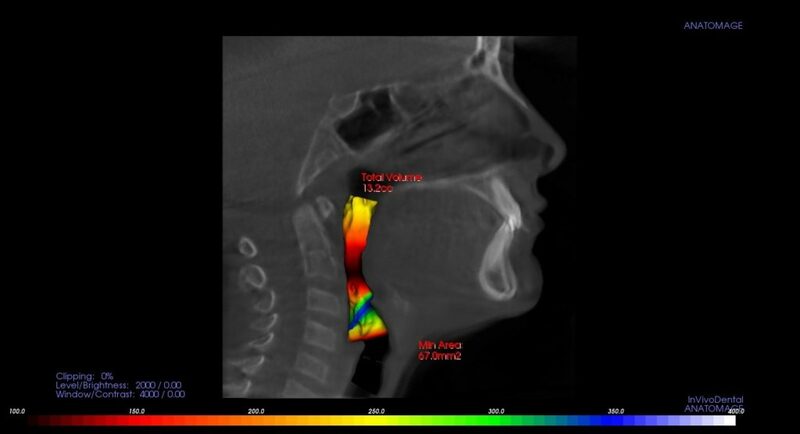 Sleep Apnea: Imaging the tissues and structures of the nose, mouth, and throat can aid in the diagnosis and treatment of this dangerous condition.